I want to show how my quilts have changed (or not) over time, so I’m grouping together pictures of ones made four or more years ago here. 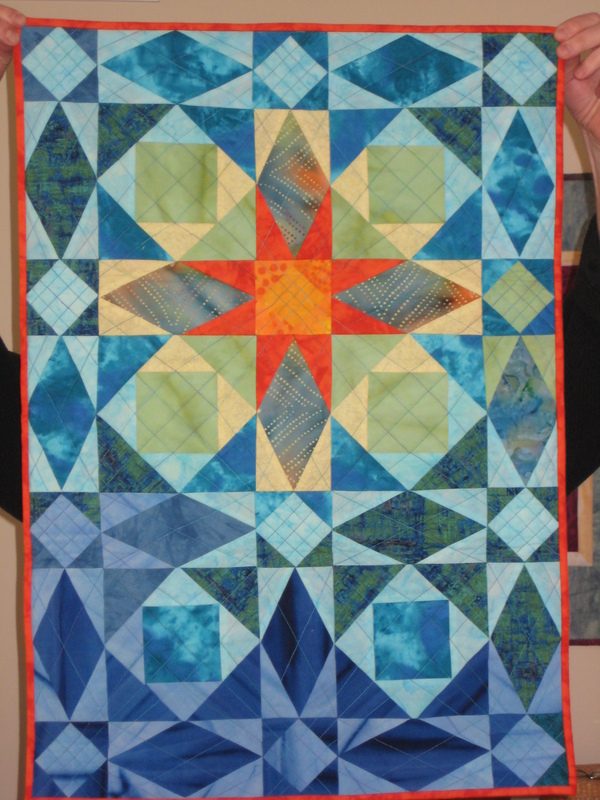 This kaleidoscope quilt was finished about 2005, but in 2014 I decided it needed way more quilting, so I added a fair amount. I went through a Mary Ellen Hopkins phase and “Chex” is one of that phase’s products. I still find Mary Ellen’s books great for stimulating what-if speculations for take offs of traditional blocks. “Purple Haze” was inspired by a large bag full of purple scraps and an Evelyn Sloppy pattern. 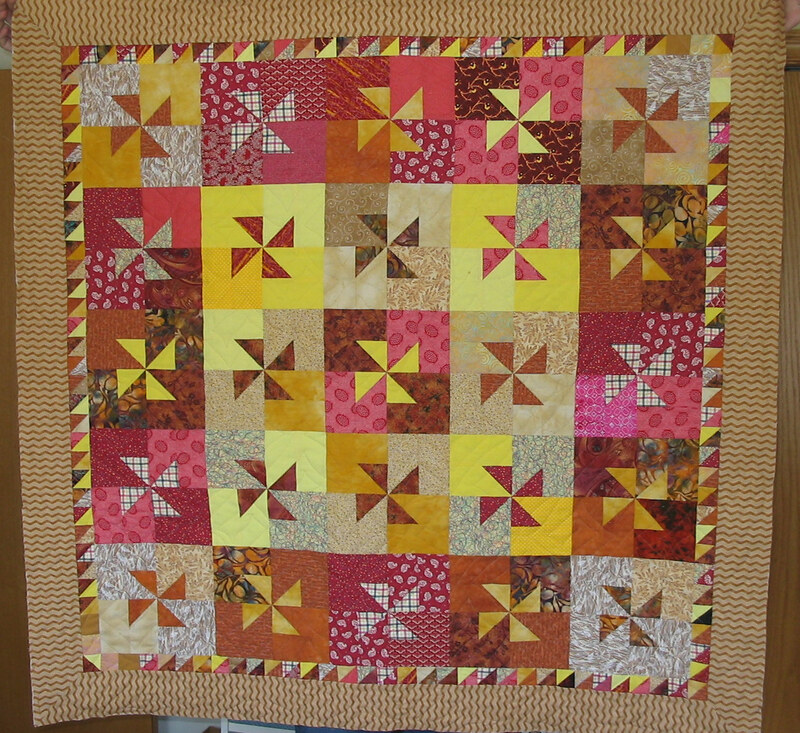 The quilting follows the wavy lines on the backing fabric. 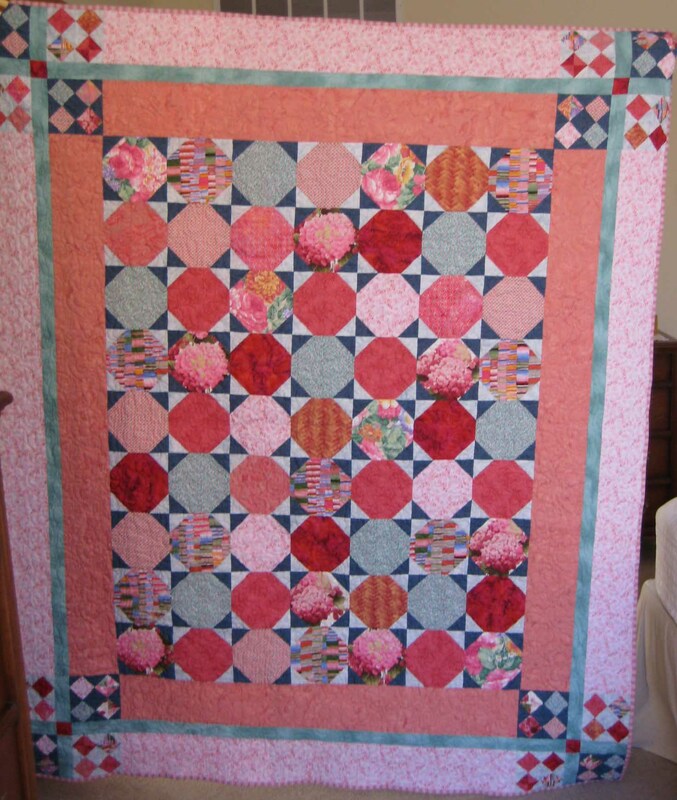 “In the Pink” was made for a sister in law who had breast cancer. She’s now doing fine. I think it’s the pinkest quilt I ever made. “Butterscotch, Red Hots and Caramel” is made from a book by Pat Speth. 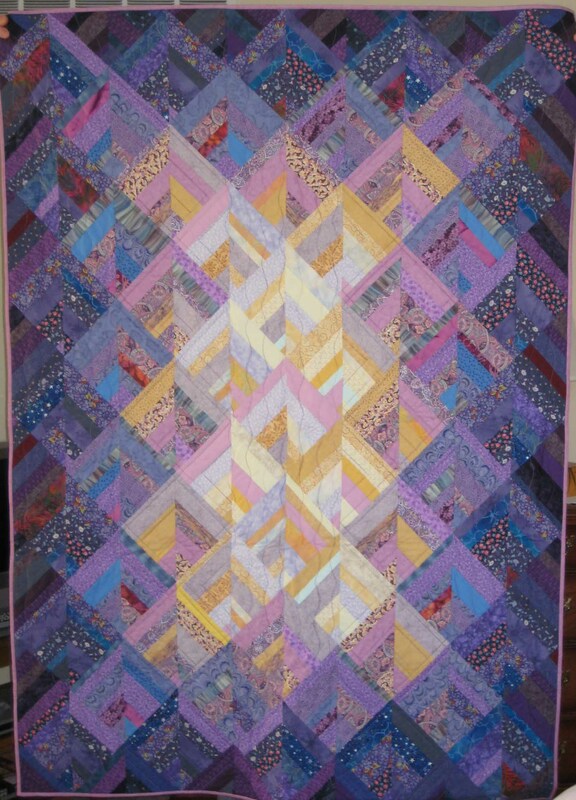 I used the half square triangles from the blocks to make the inner border. You can see where I ran out of those in the lower left and upper right corners. One of two Lost at Sea quilts. 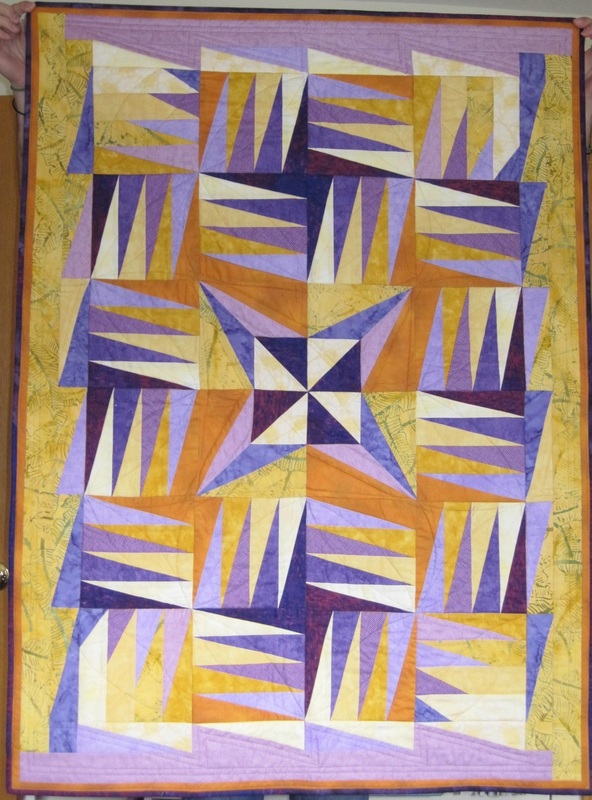 The quilting pattern is from John Flynn. “What’s the Point of it All?” is from a freezer paper piecing class exercise. 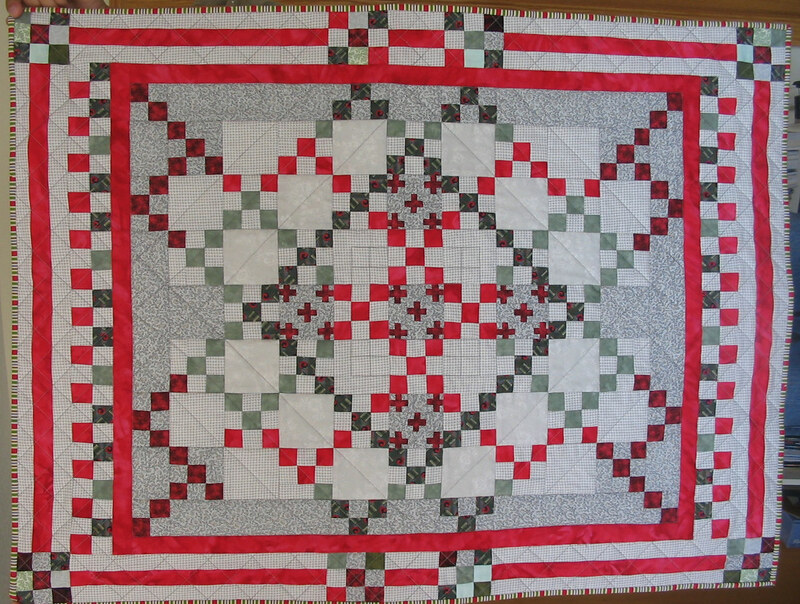 I really struggled with the quilting on this one.